Skye Gravestones | Annie MacDonald. In loving memory of/ANNIE MacDONALD/"Easandubh" Dunvegan/died 14th November 1978. 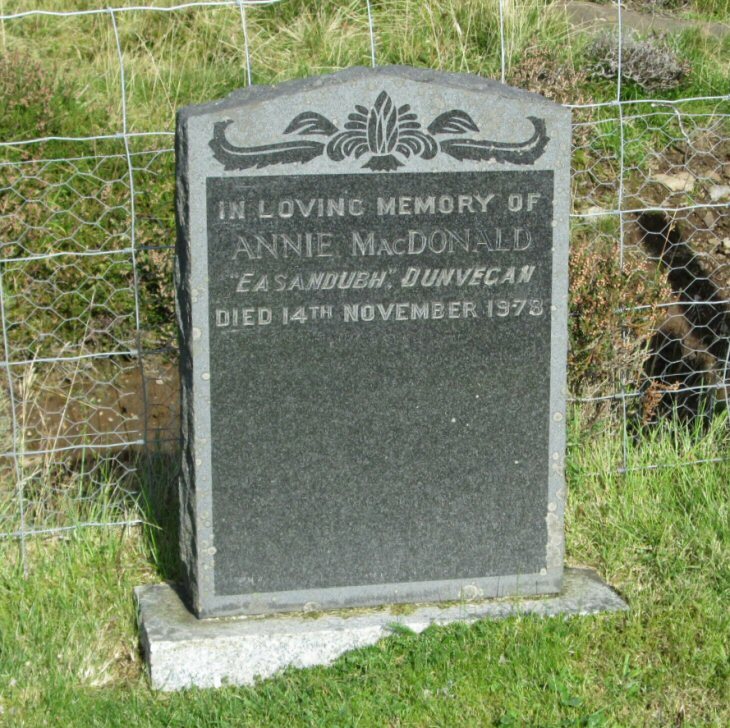 Is this Annie MacDonald the old school mistress' gravestone? Added by Fiona Urgen (nee MacDonald) on 22 October 2014.